Arakaki, Y., Kawai-Toyooka, H., Hamamura, Y., Higashiyama, T., Noga, A., Hirono, M., … & Nozaki, H. (2013). 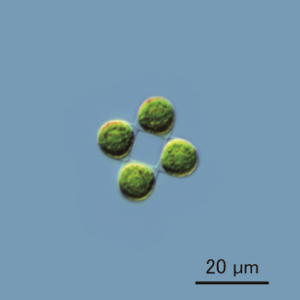 The simplest integrated multicellular organism unveiled. PLoS One, 8(12), e81641. Herron, M. D., Hackett, J. D., Aylward, F. O., & Michod, R. E. (2009). Triassic origin and early radiation of multicellular volvocine algae. Proceedings of the National Academy of Sciences, 106(9), 3254-3258.